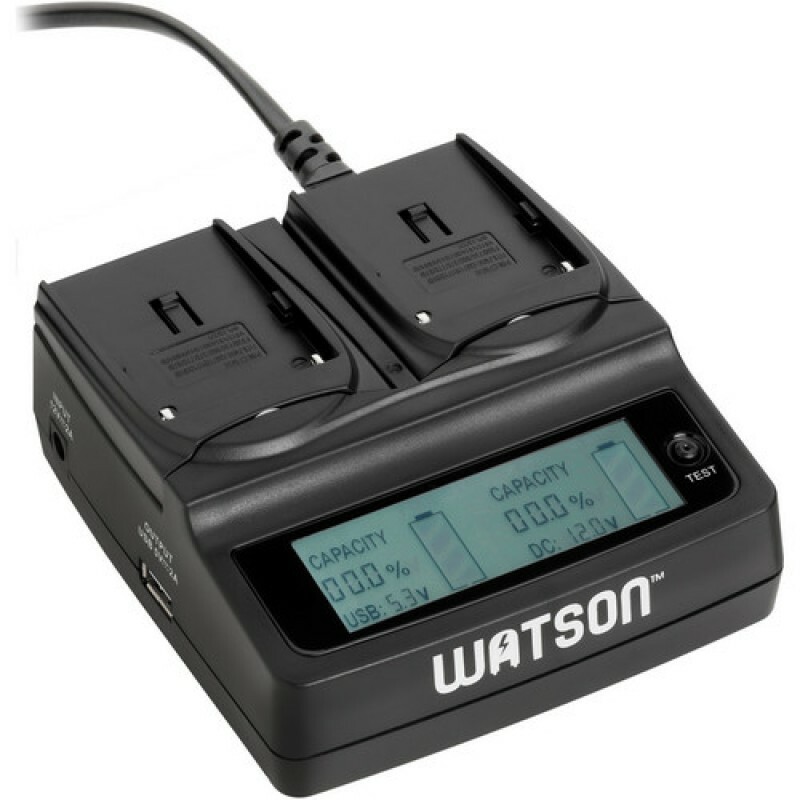 The Duo LCD Charger for L & M Series Batteries from Watson conveniently charges two batteries simultaneously, drawing power from either an AC wall source (an AC cord with two-prong plug is included) or a 12/24V DC power source (a DC car charger is also included). 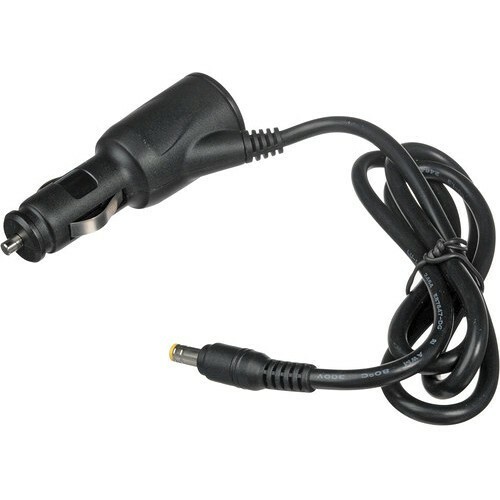 Additionally, the Duo Charger features a USB power output to charge and power MP3 players, phones, digital cameras, and other devices with a USB power input. 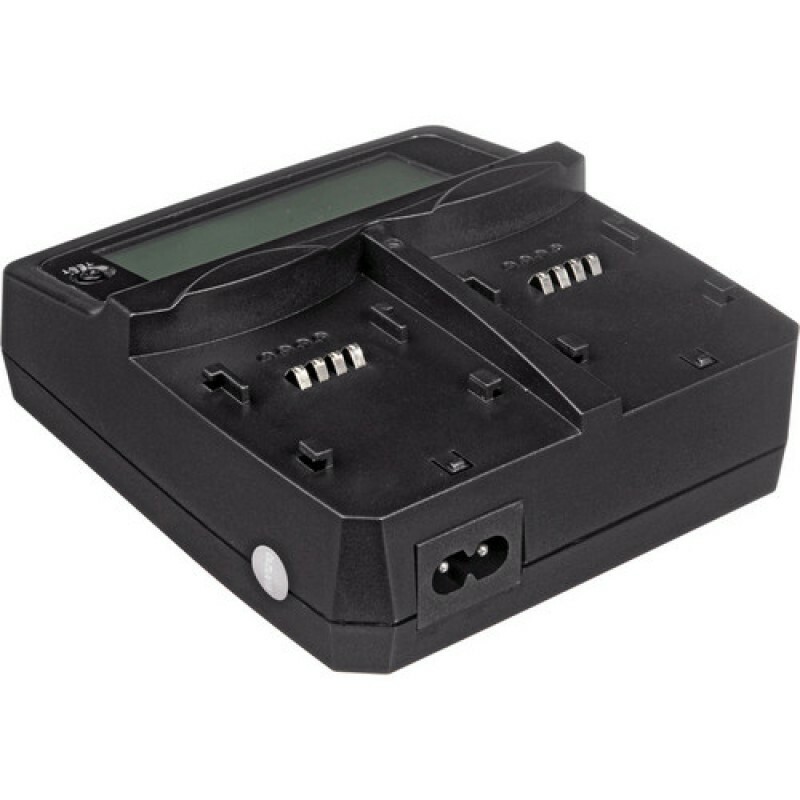 With two easily interchangeable plates, this charger can also be used for other battery models via the separate purchase of a compatible additional battery plate. The intelligent charger features an LCD display that graphically shows charge status for both batteries. 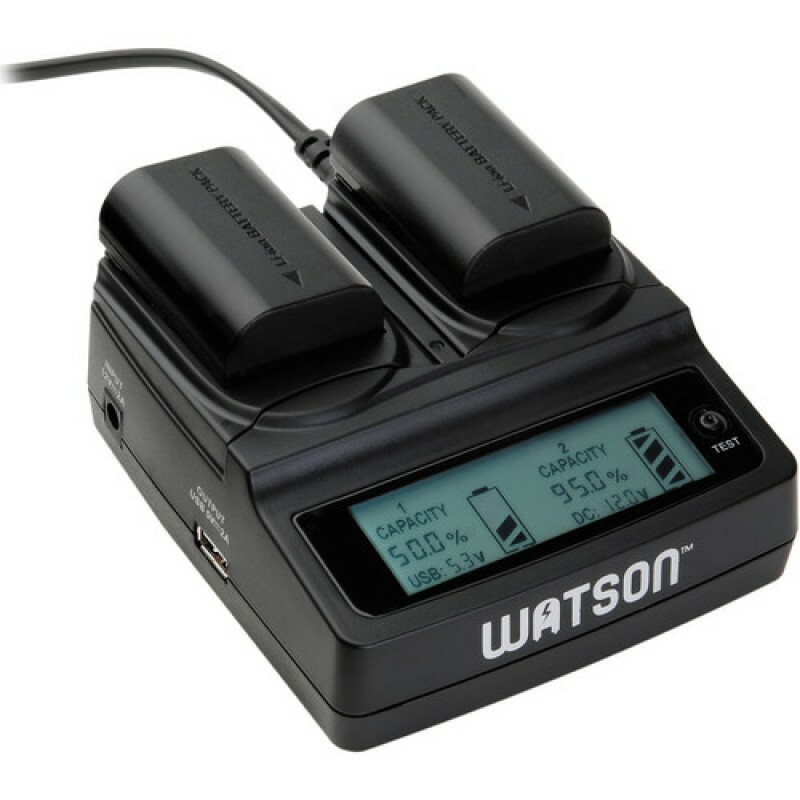 This allows you to test batteries instantaneously, so you can easily decide which Li-ion cells to bring with you for the day. With protection against overcharging, overheating, and short circuit, the Duo Charger safely, conveniently, and quickly recharges up to two compatible Li-ion batteries and one USB-powered device. Charge or supply power for MP3 devices, mobile phones, digital cameras, and other related devices with a USB power input--even while you're charging your digital camera or camcorder batteries. USB output is also displayed on the LCD. 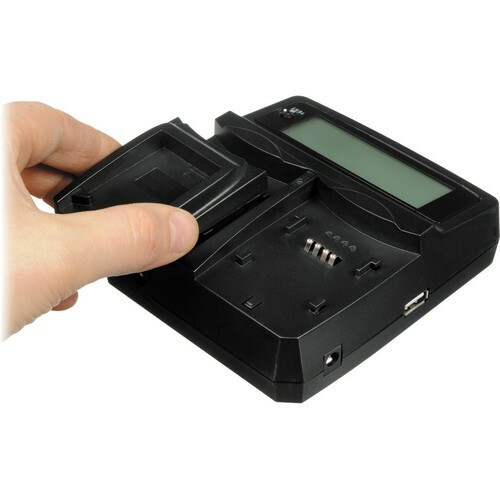 Test the charge of a battery even with the Duo Charger unplugged by sliding the battery into the charging plate and pressing the Test button. Press the button a second time to display the voltage of the battery. Short-circuit protection, overcharge protection, and overheat protection. Sony NP-F550, NP-F570, NP-F730H, NP-F750, NP-F770, NP-F930, NP-F950, NP-F960, NP-F970, NP-FM30, NP-FM50, NP-FM500H, NP-FM55H, NP-FM70, NP-FM90, NP-FM91, NP-QM71, NP-QM71D, NP-QM91, and NP-QM91D type. Box Dimensions (LxWxH) 9.7 x 6.3 x 2.6"